Ariana Grande will be holding a benefit concert for the Manchester victims of the terrible May 22nd terrorist attack. The concert will be this Sunday on June 4th and will include the likes of Coldplay, Katy Perry, Justin Bieber, and Pharrell Williams. Manchester’s Old Trafford Stadium will house this amazing musical showcase. The proceeds from concert will go to the British Red Cross and a special fund created for the victims after the attack. Tickets will go on sale on Thursday, June 1st. Fans who attended the fateful Manchester concert can register for this June 4th show on the benefit’s website. Since the attack Grande, celebrities, and her family have shared beautiful words of encouragement to the masses. The third album release from this pop starlet is her most refined work. Whether it’s her progression in age or her honing the content & context of her music, the album’s voice is direct and cohesive. Grande is known for knockout vocals and they are on full display in this album. From the light serenade of the opening track “Moonlight” to the dark and sultry Macy Gray collaboration “Leave Me Lonely”, her vocal talent is at the helm of every track. The highlight of this album is how those vocals are fused and married to a myriad of strings, horns, and electronic beats. Dangerous Woman is her most musically diverse album. In true to the form of pop, the album includes blended genres from house, to R&B, to dance pop, to much more. Dangerous Woman was released May 20th, 2016 and debuted at number two on the Billboard album charts. So far, Grande has released two lead singles from the work, “Dangerous Woman” and “Into You”. The album’s commercial success should be no surprise as the work is an audio display of Ariana Grande’s overall elevation. Dangerous Woman is full of empowerment and introspection. It has great production, slick lyrics, and impressive beats. This is an album in which the landscape of each track is vocally claimed by this can’t miss pop star. 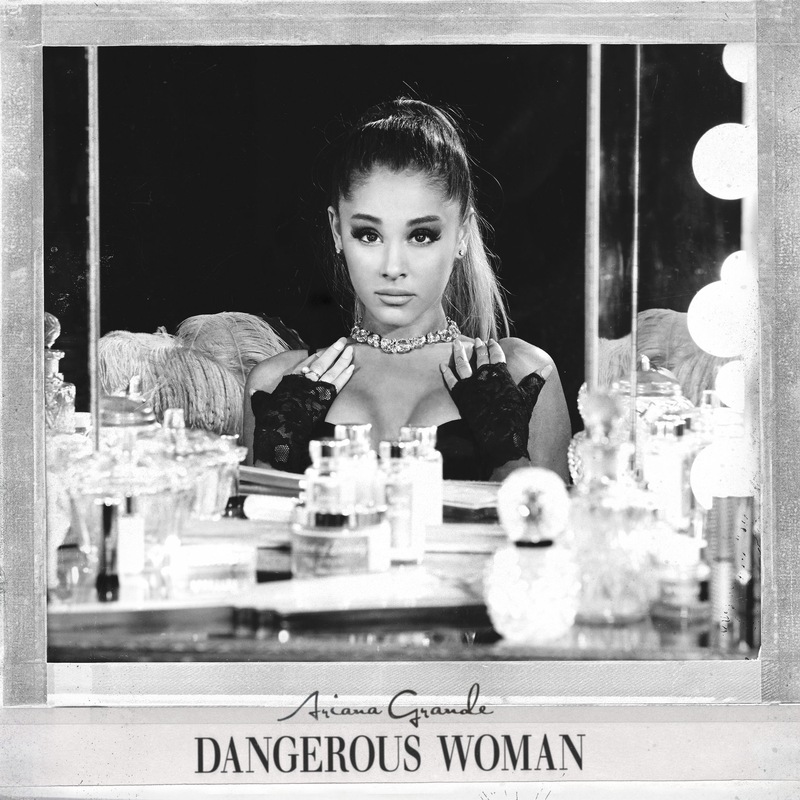 It is a beacon album that signals Ariana Grande’s grasp on her personal and vocal identity. The album doesn’t just assert Ariana’s place in pop music it dictates her residency in it.